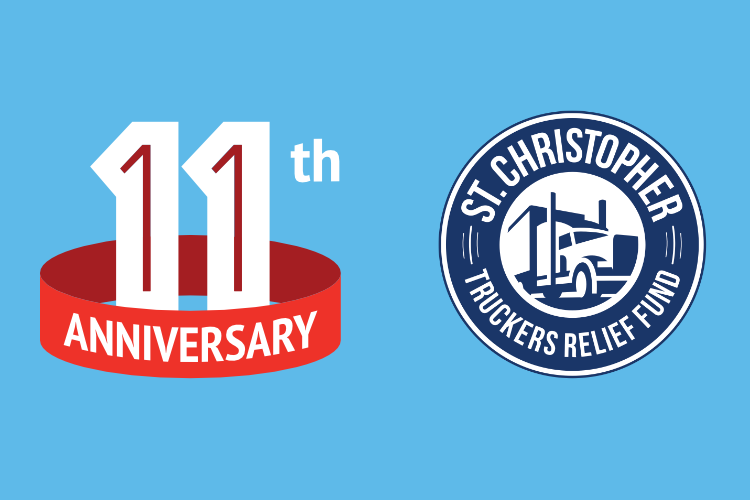 Well, here we are, 11 years to the day that the first St. Christopher Fund driver received assistance. It’s hard to believe how much we’ve grown during this time! Just to give a quick example of this: we helped 28 drivers in 2008 versus 364 in 2018! For those who aren’t familiar with our history, I’ll give you a short explanation of how this organization came to be. Dr. John McElligott (“Dr. John”) was operating truck-stop clinics, called Professional Driver Medical Depots, so that truck drivers could have easy access to medical care. During this time, he started doing a show on Dave Nemo, “Coffee with the Doc”, where truckers could call in and ask him medical questions. 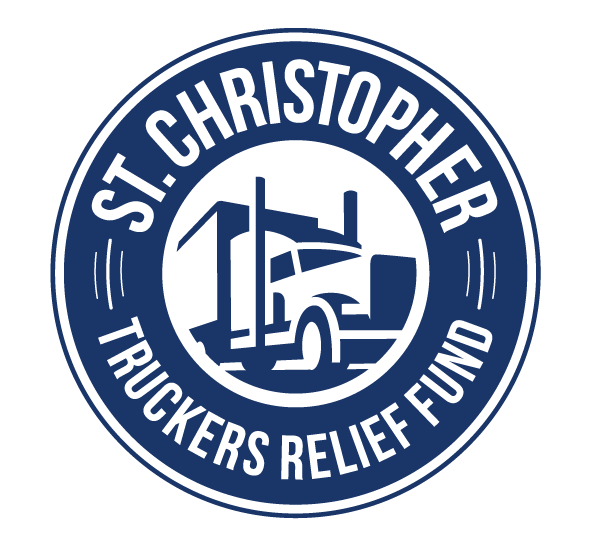 This combination of exposure to the lives truck drivers were living and the medical problems they were experiencing, led Dr. John to have a talk with Dave and his partner Michael Burns about the need for a charity to help this group of people. Dr. John recalls calling Michael from an airport and asking who the patron saint of travel is: turns out, it’s St. Christopher and hence the name of the organization. Mission 1, the Development part, is to provide health and wellness programs for drivers in order to help prevent illness. Over the years, we have done this by providing free colorectal screenings, mammograms, health challenges, a smoking cessation program and flu/shingles/pneumonia vaccines (880 provided so far!). That’s a total of $2,595,294.12 in giving! You might be asking, “How have they come so far?”. I can tell you with certainty that we would not still be here, 11 years later, without the support of truckers themselves. The best way for me to illustrate this is showing the huge impact of TA/Petro’s Band Together for SCF campaign. Band Together started in 2010 and involved selling rubber wristbands for $1 in all the TA/Petro locations, with 100% of the proceeds going to SCF. In one single month, drivers showed support of each other with $221,125 in giving! This was by far our biggest donation since inception! 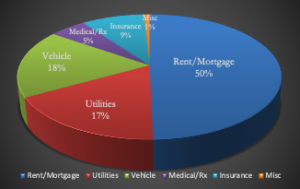 To put this in perspective, the SCF opened with $10,000 in the bank from Dave Nemo, then we received $10,000 from OOIDA in the Fall of 2008 and again in both 2009 and 2010. Those donations were also imperative in our ability to help drivers but the Band Together campaign took us to a whole new level. And let me tell you, truckers noticed! We went from helping 28 drivers in 2008 to 238 drivers in 2010! TA/Petro has continued their support of drivers through the SCF with Band Together, events at the corporate office, and fundraising at shows. In total, their support now totals $2,525,250.85! There have, of course, been other major contributors to the SCF: NAIT has donated $100,000 twice, Pilot and their employees have donated over $100,000, Blue Tiger has donated over $95,000, BP’s donations total $90,000, Coffee Cup Fuel Stops has donated over $80,000 (mostly from Band Together), a private foundation with ties to trucking has donated $75,000, OOIDA has continued their support with over $55,000 donated, AMBESTs’ members have given nearly $55,000, Sapp Bros has donated over $55,000 (through Band Together campaigns) and Brenny Transportation/Brenny Specialized and their employees have given over $45,000! It has truly been an honor to be a part of this growth in support and in awareness. We certainly wish our heroes on the highways were not faced with illnesses and injuries but we are blessed to be here to help them when they are. Truck drivers are often overlooked but it’s become clear to me that they are generous people that love their jobs, they look out for each other, and are vital to our nation. In the next 11 years, my hope is to incorporate more prevention programs in health, wellness, and finances so that we can keep our heroes on the road. I look forward to seeing what great things the SCF can do!